A new Swedish “online tabloid” called Nyheter24 (News24) was launched today. It is promoted as a challenger to Aftonbladet.se (*yawn*) with high tempo and heavy usage of images. The British paper The Sun seems to have been an inspiration. The site will focus on news, sports and entertainment. One of the founders is Douglas Roos, previously CEO of gambling company Ladbrokes, and Vassa Eggen notices that Ladbrokes has banners all over the site and are also mentioned four (!) times in this article. There doesn’t seem to be any RSS feeds on the entire site, which you would expect from a new news site in 2008, especially since it includes a number of blogs. Tags: thesun, news, ladbrokes, rss, nyheter24. Ping. The team behind the Swedish RSS reader Blogkoll today launched an English version of the site, called Bloglovin’. 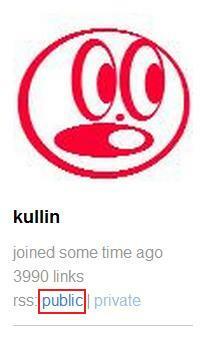 The Swedish version was launched in October 2007 and today has 37,000 members. The easy to use reader has become especially popular among the local fashionistas, 84% of the members are women who mainly follow fashion blogs. The reader now also comes with a new feature called Muffin, which is a thin frame at the bottom of the page which lets readers go to the next unread blog post with just a click. An illustration of how that looks can be found here. Tags: rss, blogosphere, bloglovin, modebloggar, mode. Ping. Some good news for bloggers that have few visitors but many subscribers. RSS advertising is showing signs of slowly becoming a source of revenue. Gawker Media says it grew its revenue from RSS-driven traffic by 300 percent in Q1 2008. And RSS use is apparently growing worldwide. According to a global (29 countries) social media survey from Universal McCann in March, 34 percent said they had “ever” subscribed to an RSS feed, which is up from just 15 percent the previous year. 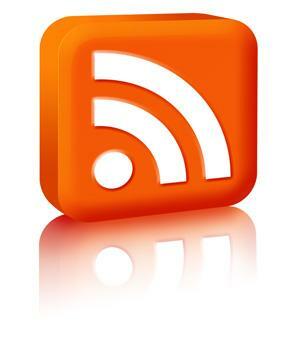 Also, FeedBurner will start to include Adsense ads in RSS feeds starting next week. Bloggers already in their advertising programme will see a combination of the previously offered premium ads with AdSense ads filling up the remaining space. Tags: rss, adsense, advertising, reklam, rss, adsense. Ping. If you publish the entire RSS feed of your blog (which I strongly recommend as a service to your readers) instead of, say, the first 250 characters of a post, chances are that a good portion of your readers never visit your blog. So if you for some reason decide to change your RSS feed you need to announce the new address within your old feed. I’m not sure how the details have been communicated here, but I am glad that one of my favourite bloggers, Martin Jönsson of Svenska Dagbladet, has neither quit blogging nor vanished from the face of the earth. I was a bit curious why no new blog posts came up after November 27 last year, but the reason was simply a change of RSS feed (new one here). There are currently more than 80 subscribers to the old feed in Bloglines alone so it could be a good idea to inform them of the switch via the old feed, if it is possible. Tags: rss, blogs, rss, svd, reklam. Ping.